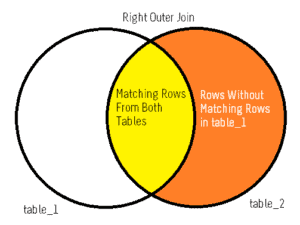 This is an article about joins in sql server . 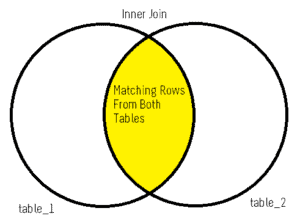 The article covers all aspects of joins using proper examples and Venn diagrams. 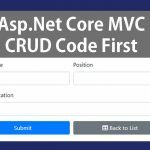 What is meant by joins in SQL server ? Joins are the commands used to combine data from two or more tables based on relation between them. The relation between them is specified using columns from each tables and relational operators like =,<,> and <>. You can following types of joins in sql server. Before getting into each of them let me introduce table Employee and Job. These two tables will help to discuss each joins with pra. Inner join displays only rows that matches the join condition in both tables. Instead of INNER JOIN you can use JOIN also both are same. Illustration :- inner shaded region of Venn diagram represents rows that satisfies joining condition hence it is knows as Inner Join. Point of Interest (Employee,Job) : – Get Jobs of all employees who has at least one job ? This type of join returns all rows from the left(first) table with second table rows that matches the join condition. rows without match will have NULL values for second table columns. Both left outer join and left join are refers exact same operation. Point of Interest (Employee,Job) : – Get all employee with their jobs? 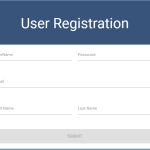 Right join is just an opposite for left join, All rows from right(second) table with matching rows in first table will displayed. If no match found NULL values will be returned for first table columns. Both Right Outer Join and Right Join are same. Point of Interest (Employee,Job) : – Get all Jobs with employee in charge? 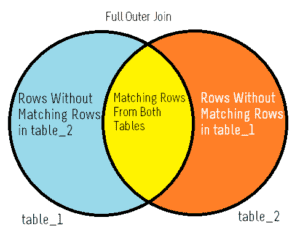 Full Outer Join returns all rows from both left and right tables. Since it can be treated as combined result of both LEFT and RIGHT joins. Point of Interest (Employee,Job) : – List Out Employee-Job Relation ? 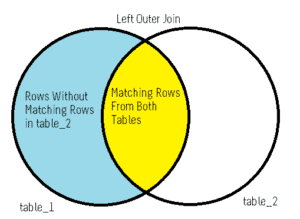 Self Join is a type of join where both left and right tables are same table. In the syntax, you can see TYPE_OF_JOIN it can be any of the following joins like inner join or outer joins or cross join. In case of self join you must use alias names for joining tables to differentiate one from another. Point of Interest (Employee,Job) : where would we use it ?, well consider the following situation. Cross join returns Cartesian product of the tables hence this type of join also knows as Cartesian Join. In case of cross join ON clause is not allowed. instead of ON we may use WHERE for additional filter operation. Point of Interest (Car,Color) :- can u picture it’s practical use ? Q: Get all the color combination for available cars ? Yes, it will 16(4*4), Number of rows returned from cross join operation is the product of number of rows in both tables. If you change join conditions in ON clause as 1=1 for inner joins and outer join resulting output will be cross join.